Helen Oxenbury is among the most popular and critically-acclaimed illustrators of all time. Her many award-winning books for children include We’re Going On a Bear Hunt, written by Michael Rosen, Farmer Duck, written by Martin Waddell and There’s Going to Be a Baby, written by John Burningham; as well as her classic board books for babies. Helen has won the prestigious Kate Greenaway Medal twice – in 1969, for The Quangle Wangle’s Hat and The Dragon of an Ordinary Family and in 1999, for Alice's Adventures in Wonderland. She lives in London. Read Helen Oxenbury on winning the Kate Greenaway Medal twice here. A Julia Eccleshare Pick of the Month January 2019 | | This is the 30th anniversary board book edition of this bestselling title which well-deserves its classic status. It has become the staple of pre-school life across the globe. Told in a simple rhythmic text that's full of action and it is matched by Helen Oxenbury’s wonderful illustrations which perfectly capture the fun and the wide range of emotions of the family day out that the story encompasses. Celebrating 30 years of Bear Hunting - visit www.jointhebearhunt.com for everything a bear hunter could need including activities, videos, competitions and tour dates. The book has sold in nearly 30 countries and in over 20 languages. One of our Books of the Year 2016 There’s a dreamlike quality to this beautiful picture book. Two young children, painted by Helen Oxenbury with typical sensitivity, leave the safety of their garden to explore the forest when they hear a mysterious noise coming from the trees. Taking it in turns to reassure and encourage one another, they finally discover the source of the noise is Wolf Mummy singing her babies to sleep, a vision both wild and tranquil. The children return home and they too snuggle down to sleep lulled by her lullaby. Their cosy cottage, with its bright red quilt and lamp, is a distinct contrast to the green hues of the little wolves’ home, but the forest no longer seems a frightening place. Atmospheric, magical, this fairytale story will enchant readers. ~ Andrea Reece Meet the Illustrator – In conversation with Helen Oxenbury Shelley Fallows also had the opportunity to meet with Illustrator Helen Oxenbury to find out a little more about this award winning illustrator, mother and grandmother. Click here to read more. You’re never too young for the brilliance of a book such as We’re Going on a Bear Hunt. Walker Books have taken Michael Rosen and Helen Oxenbury’s classic picture book and condensed it into a chunky board book. The illustrations sparkle in miniature and there are lots of opportunities for joining in – splish splash through the river, squelch squerch through the oozy mud, hoo woo through the whirling snowstorm. A handy strap and clip enable you to attach this sturdy little book to a buggy or carrier and take it out on bear hunts of your own! ~ Andrea Reece You might also like We're Going on a Bear Hunt Colouring Book and We're Going on a Bear Hunt Sticker Activitiy Book! Colour in the bear hunt with this wonderful colouring activity book, based on the classic picture book by Michael Rosen and Helen Oxenbury. Helen Oxenbury's beautiful illustrations are as enchanting here as in the beloved original, and Michael Rosen's brilliantly rhythmic words provide the inspiration for every exciting activity. You might also like We're Going on a Bear Hunt Sticker Activitiy Book! Join in the bear hunt with this fabulous sticker activity book, based on the classic picture book by Michael Rosen and Helen Oxenbury. Little ones will be absorbed for hours with this sticker book filled with engaging activities. You might also like We're Going on a Bear Hunt Colouring Book! Winner of the 1999 CILIP Kate Greenaway Medal A wonderful 150th-anniversary edition of Lewis Carroll's timeless classic, illustrated by Helen Oxenbury in this beautiful award-winning interpretation. Full of the most wondrous wit and humour, wonderful magic and believable nonsense, this particular edition has the most stunning illustrations that complement the imaginative story that’s anything but dull. The story is timeless and can be read at so many different levels. It’s a book that can be read by people of all ages; for children it’s a wonderful underworld fantasy that will develop a passion for reading imaginative writing and for everyone else there’s innuendo, puzzling situations that require deciphering, political machinations and bucket loads of surrealism. Plenty of food for thought and a real antidote to the modern world. From Philip Pullman: "Indispensable. The great classic beginning of English children's literature." One of our Books of the Year 2014 Fantastic, cumulative adventure as a family cheerfully sets out on a brave hunt to find the bear - and this new edition has interactive sound! It could be frightening but they’re not scared. They’re full of confidence in what they are doing. Caves, mud, rivers, forest … whatever obstacles the family encounters, they resolutely overcome them happily repeating the chorus:“We can’t go over it”, “We can’t go under it”, “Oh no! We’ve got to go through it”.But when they find the bear its’ a lot more scary than they had thought and they hurtle home repeating all the noises as they go. ~ Julia Eccleshare There is a new website celebrating 25 years Bear Hunting - visit www.jointhebearhunt.com for everything a bear hunter could need including activities, videos, competitions and tour dates. The book has sold in nearly 30 countries and in over 20 languages. This is the 25th anniversary edition of this bestselling title which well-deserves its classic status. It has become the staple of pre-school life across the globe. Told in a simple rhythmic text that's full of action and it is matched by Helen Oxenbury’s wonderful illustrations which perfectly capture the fun and the wide range of emotions of the family day out that the story encompasses. This attractive new edition includes a beautiful dust jacket. There is a new website celebrating 25 years Bear Hunting - visit www.jointhebearhunt.com for everything a bear hunter could need including activities, videos, competitions and tour dates. You'll also find details of the Walker Books and Read for the RNIB Day in July 14 when there will be a GUINNESS WORLD RECORDS™ record attempt for the world’s largest reading lesson. Want to be involved then go to www.jointhebearhunt.com. The book has sold in nearly 30 countries and in over 20 languages. This is the 25th anniversary board book edition of this bestselling title which well-deserves its classic status. It has become the staple of pre-school life across the globe. Told in a simple rhythmic text that's full of action and it is matched by Helen Oxenbury’s wonderful illustrations which perfectly capture the fun and the wide range of emotions of the family day out that the story encompasses. There is a new website celebrating 25 years Bear Hunting - visit www.jointhebearhunt.com for everything a bear hunter could need including activities, videos, competitions and tour dates. The book has sold in nearly 30 countries and in over 20 languages. A perfect introduction to the wonderful world of rhymes and stories and the delight they bring. Helen Oxenbury’s gentle but witty illustrations make the perfect match for simple traditional rhymes before moving on to longer traditional tales such as The Three Billy Goats Gruff and Goldilocks. 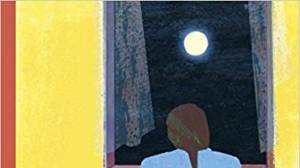 Award-winning illustrators and husband and wife team John Burningham and Helen Oxenbury have teamed up for the very first time to create this stunning and touching story about the excitement and anxiety surrounding the arrival of a new baby in the family. Funny, kind and thoughtful about the many different ways an older sibling might see the arrival of the baby, this book will delight the whole family at any time. Award-winning husband and wife John Burningham and Helen Oxenbury have teamed up in this wonderful picture book which delicately captures the complex and sometimes overpowering feelings of an older sibling waiting for the arrival of a new baby. John Burningham’s delicately written story takes the form of a beautiful dialogue in which the optimistic possibilities of what the baby might and might not do are juxtaposed with some of the fears and negative feelings that the thought of it creates. Helen Oxenbury’s illustrations match both the delicacy and the humour of the text perfectly and, by the end, both words and pictures welcome the baby with hope. Abundantly illustrated with warmth and humour by Helen Oxenbury, the memorable cast of characters are to be found in all their glory here in this edition, from Alice herself to the White Rabbit, the Mad Hatter and the Cheshire Cat. Her illustrations complement quite beautifully Carroll's story of logic and lunacy that has delighted young and old alike since its first publication back in 1865. It is part of the Walker Illustrated Classics, a new series which brings together some of the best-loved stories ever told, illustrated by some of today's finest artists. These exquisitely designed books, with their magnificent words and glorious pictures, are a pleasure to read - and re-read. The classics have never looked so good. To see more Illustrated Classics click here to go to the Classics section, then click the Illustrated tab. Mum and the baby are at home, doing nothing spectacular, when the doorbell rings. It's Aunt Biba, and she wants to play with the baby so much. Then Uncle Didi comes, followed by practically the whole family, and they all want to hug and play with baby. Winner of the 1999 CILIP Kate Greenaway Medal Full of the most wondrous wit and humour, wonderful magic and believable nonsense, this particular edition has the most stunning illustrations that complement the imaginative story that’s anything but dull. The story is timeless and can be read at so many different levels. It’s a book that can be read by people of all ages; for children it’s a wonderful underworld fantasy that will develop a passion for reading imaginative writing and for everyone else there’s innuendo, puzzling situations that require deciphering, political machinations and bucket loads of surrealism. Plenty of food for thought and a real antidote to the modern world. From Philip Pullman: "Indispensable. The great classic beginning of English children's literature." A Julia Eccleshare Pick of the Month September 2018 | Julia Donaldson and Helen Oxenbury bring the very best of their award-winning The Gruffalo and We’re Going on a Bear Hunt respectively to this glorious new picture book which will remind readers of both. When Rabbit hears a loud voice coming from right inside his burrow he is terrified. What terrible kind of creature could the Giant Jumperee who is hiding in there possibly be? Rabbit’s friends Cat, Bear and Elephant all come to help but are they brave enough or clever enough to discover just who the Giant Jumperee is? Clap your hands and make some noise with this bright and cheerful board book. The much-loved and cherished babies are back in these delightful stories to help engage toddlers and encourage a love of reading. Join in all the fun of the bear hunt with this magical changing picture edition of the much-loved family classic. We're going on a bear hunt. We're going to catch a big one. Will you come too? For over twenty-five years, readers have been swishy swashing and splash sploshing through this award-winning favourite. Follow and join in the family's excitement as they wade through the grass, splash through the river and squelch through the mud in search of a bear. What a surprise awaits them in the cave on the other side of the dark forest! Now you can join in the fun with this interactive changing picture book. We're gangin on a bear hunt. We're gaun tae catch a braw yin. Whit a bonnie day! We're no feart. Get ready for a big adventure, as a family of brave bear hunters trudges through muckle forests and skirlin snawstorms, claggie mud and a deep cauld river in search of a glowerin bear. Michael Rosen and Helen Oxenbury's classic We're Going on a Bear Hunt is charmingly recreated in Scots for little adventurers. The original words and illustrations are transformed by language expert Susan Rennie into lively Scots for a bright and bonnie take on this favourite tale. Perfect for reading aloud with young children. A hardworking duck is rescued from life with a lazy old farmer in this classic tale of justice from acclaimed Irish writer Martin Waddell. A perfect introduction to the Irish language for young children! There once was a duck who had the bad luck to live with a lazy farmer. While the poor duck works and works, through rain and hail, the farmer lazes about ... barking out commands from his bed. But, one day, the other animals decide to take action! It's time to stand up to that lazy farmer! This story of heroism and comradeship, with illustrations that are as stunningly beautiful and powerful as they are truly funny, make this new Irish edition a book to be read again and again ... and again! A dramatic version of a favourite picture book in which children join in taking different parts of the reading. Offering a very different storytelling experience, this Walker All Join In Story Play is a dramatic version of a favourite picture book written for four voices. Each part is clearly marked by different colour bands so children can join in. Perfect for reading aloud, this innovative and beautifully designed book offers a simple, clever and utterly enjoyable way of sharing stories and learning to read. The Walker All Join In Story Plays are written in strongly patterned language by Vivian French to cater for readers with different levels of experience. There are brief teaching notes at the back which give parents and teachers helpful advice on sharing the books with children. Nothing is sweeter, as everyone knows, than tiny baby fingers and chubby baby toes! All over the world, babies are different. Yet in some ways they are very much the same: each one has ten little fingers and ten little toes - to play with, to tickle, to wave. And each child is very, very special to its parents... With Mem Fox's gently rhyming text illustrated by Helen Oxenbury, best loved as the illustrator of the classic nursery join-in picture book We're Going on a Bear Hunt, Ten Little Fingers and Ten Little Toes will fast become the essential book for baby playtime - and the perfect gift for a new arrival! 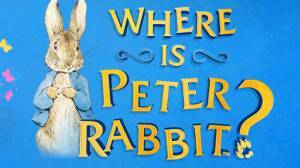 A simple, scrumptious birthday story from beloved author-illustrator, Helen Oxenbury. It's my birthday and I'm going to make a cake, a little boy tells his friends. Will they all help? Yes. The chicken gets some eggs; the bear gets some flour; the cat gets butter and milk; the pig gets a pinch of salt.... And they'll all help to eat the cake too! A multi-award-winning classic and its timeless sequel in a beautiful box set. For over a hundred years, Lewis Carroll's classic stories of logic and lunacy have delighted young and old alike. Abundantly illustrated, these contemporary and accessible interpretations are full of warmth and humour. Alice herself is truly a child of our times - casually dressed, personable and spirited. In Helen Oxenbury's hands, the topsy-turvy world of Wonderland is a wondrous place indeed! A bestselling picture book - brought to life with an animated DVD! How goes the work? called the farmer. The duck answered, Quack! While the poor duck works, the lazy farmer lies in bed ... until one day the farm animals decide to take action! Children will love snuggling up to watch the animated version of this charming tale from the acclaimed King Rollo Films - accompanied by specially composed music and narrated by Emilia Fox and Kevin Whately - and following all the action in the classic picture book. Please note this DVD is Region 2 PAL. Follow and join in the family's excitement as they wade through the grass, splash through the river and squelch through the mud in search of a bear. What a surprise awaits them in the cave on the other side of the dark forest! This is a special hardback edition in a slipcase to celebrate the 20th anniversary of the classic, best-selling picture book. It comes with a new introduction written by Michael Rosen. Nothing is sweeter, as everyone knows, than tiny baby fingers and chubby baby toes! The perfect gift for a new arrival, this is the best-loved baby book from Mex Fox and Helen Oxenbury, illustrator of We're Going on a Bear Hunt. All over the world, babies are different. Yet in some ways they are very much the same: each one has ten little fingers and ten little toes - to play with, to tickle, to wave. And each child is very, very special to its parents... With a gently rhyming text and delightfully exuberant illustration, this glorious celebration of babies the world over is a book to treasure. Reverse the book's jacket to find a gorgeous first nursery poster, too! A favourite book chosen by Philip Pullman, along with Alice's Adventures in Wonderland: "Indispensable. The great classic beginning of English children's literature". Stepping through the Looking Glass, Alice enters a second wonderful adventure. Here she meets the White Queen and the scarily loud Red Queen, the famous twins Tweedledum and Tweedledee and the tearful Walrus and the Carpenter. 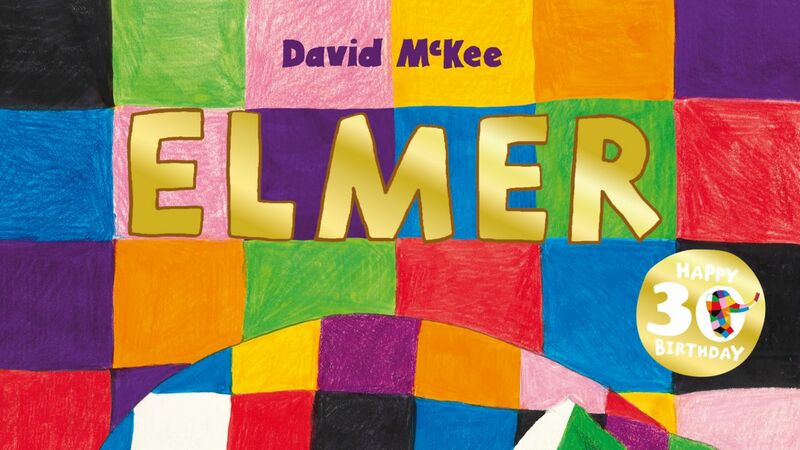 Helen Oxenbury’s illustrations capture the madness and magic of this classic, which is beautifully published as one of Walker’s Classic titles. This title is part of the Walker Illustrated Classics, a series which brings together some of the best-loved stories ever told, illustrated by some of today's finest artists. These exquisitely designed books, with their magnificent words and glorious pictures, are a pleasure to read - and re-read. The classics have never looked so good. To see more Illustrated Classics click here to go to the Classics section, then click the Illustrated tab. A classic much-loved tale is vividly brought to life in the beautiful illustrations of the award-winning artist Helen Oxenbury. Lewis Carroll's classic stories of logic and lunacy have inspired delight in young and old alike. Continuing Alice's adventures, Alice Through the Looking Glass sees her walking through a mirror into a topsy-turvy world. There she meets a host of bizarre characters, including Tweedledum and Tweedledee, Humpty Dumpty and the Red Queen. But is it all a dream? Delightfully illustrated for a new generation by the award-winning Helen Oxenbury. A classically beautiful picture book from Helen Oxenbury and Ruth Krauss. Share the universal experience of growing up and discover the rhythms of the seasons in this wonderfully timeless story. A little boy, some chicks and a puppy live on a farm. They see the first signs of spring growing in the fields and the little boy asks his mother if he and the puppy will grow too. Of course you will, she assures him, and as spring turns to summer he sees his dog growing taller and the chicks become chickens. But as the seasons change and everything grows around him, the little boy feels like he has stayed the same. Can he really be growing too? This charming story will enchant younger readers and is perfect for sharing aloud. Beautifully presented as an illustrated paperback, it is the perfect book for all little children wondering if they're growing too. A delightful CD, board book and toy pack of a picture book classic! We're going on a bear hunt! Through the long wavy grass, the thick oozy mud and the swirling, whirling snowstorm - will we find a bear today? Get ready to do the actions with the bear itself and the award-winning picture book and CD! Performed by Brian Blessed and Imelda Staunton, the CD contains over 45 minutes of readings, music, and activities. ;Winner of the Smarties Book Prize and Highly Commended for the Kate Greenaway Medal. The timeless sequel to the Kate Greenaway Medal and Kurt Maschler Award-winning Alice's Adventures in Wonderland . For over a century, Lewis Carroll's classic stories of logic and lunacy have inspired delight in young and old alike. Continuing Alice's adventures, Alice Through the Looking-Glass sees her walking through a mirror into a topsy-turvy world. There she meets a host of bizarre characters, including Tweedledum and Tweedledee, Humpty Dumpty and the Red Queen. But is it all a dream? ; An Alice for the new millennium, this book is a triumph of design and rare quality. The Guardian on Alice's Adventures in Wonderland ;Helen Oxenbury's Alice is a child of today - modern, personable, spirited! Full of the most wondrous wit and humour, wonderful magic and believable nonsense, this particular edition has the most stunning illustrations that complement the imaginative story that’s anything but dull. The story is timeless and can be read at so many different levels. It’s a book that can be read by people of all ages; for children it’s a wonderful underworld fantasy that will develop a passion for reading imaginative writing and for everyone else there’s innuendo, puzzling situations that require deciphering, political machinations and bucket loads of surrealism. Plenty of food for thought and a real antidote to the modern world. There once was a duck who had the bad luck to live with a lazy farmer. While the duck worked, the farmer lay in bed - until one day the other animals decided to take action! The result is highly satisfying - Animal Farm for young children - and lots of fun to read aloud. 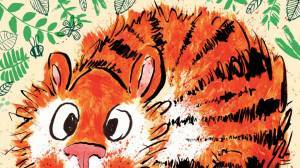 A picture book for young children by a three-times Smarties Book Prize Winner. The toddler in this story is celebrating his birthday and wants to make a cake. So he asks his animal friends for help in getting the ingredients. The chicken gets some eggs, the bear gets flour, the cat gets butter and milk, the pig gets a pinch of salt, the dog gets sugar and the monkey gets some cherries. Then all of them help to make the cake - and eat it, of course! Helen Oxenbury won the Kate Greenaway Medal in 1979, and her other books include the First Picture Books Tom and Pippo and three Smarties Book Prize-winning picture books, So Much (also Winner of the 1994 Kurt Maschler Award), Farmer Duck and We're Going On A Bear Hunt (both of which were also Highly Commended for the Kate Greenaway Medal), Animal Allsorts and Puzzle People . A hugely enjoyable read. Farmer duck toils hard all day while his lazy farmer does nothing. So the duck’s many friends decide to club together to get their own back on the lazy farmer and in so doing the duck gets a wonderful surprise. Lavish illustrations complement the simply text very well.